Parkinson’s Disease (PD) is a brain disorder characterized by decreased secretion of dopamine — a neurochemical that is responsible for controlling the brain's reward and pleasure centers, and regulating muscle movement. This chronic progressive neurological condition often begins as mild tremors, sometimes only on one side, before it gradually progresses to affect the entire body. The exact cause of this debilitating disease still remains unclear. Although the symptoms can be controlled with medication, surgery, and deep brain stimulation, these forms of treatment fail to effectively cure the disease. At Plexus, we treat PD with stem cell therapy along with an active neuro-rehabilitation program that helps reduce tremors and improve mobility in patients. Multiple Sclerosis is a demyelinating disorder of the central nervous system, caused by breakage in the myelin sheath (a thin layer covering the axons of the neuron). Although there are many theories, the cause of this debilitating disease is not yet fully known. It can be diagnosed by symptomatology, MRI findings, Cerebrospinal Fluid (CSF) analysis, and Visual Evoked Response (VER). The manifestations of this disease vary depending on the site of the lesion and the extent of damage. Common symptoms include visual impairment (demyelination of the optic nerve), weakness in the limbs, dizzy spells, various sensory symptoms, and shooting pain in the spine. While there are several modes of treatment available — such as steroids, interferons, and copolymer — there is no cure for multiple sclerosis. However, stem cell therapy has been proven to significantly reduce the lesion load (the number of damaged areas) and deliver effective results. 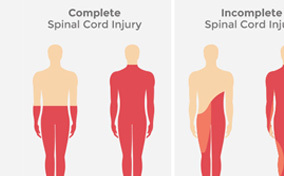 Spinal Cord Injury (SCI) is damage to the spinal cord that leads to loss of muscle function and sensation in parts of the body below the site of injury. Patients can suffer from both motor and sensory weakness, with or without the involvement of the sphincter (the muscle responsible for control over urination or defecation). Generally, patients tend not to feel any sensation below the site of the injury, but the region is often characterized by severe weakness. SCIs can have devastating effects on people’s lives. However, with stem cell therapy and a comprehensive neuro-rehabilitation program, Plexus can help make the dream of complete rehabilitation a reality. Motor Neuron Disease (MND) is a slow, progressive degeneration that eventually leads to the death of motor neurons. End organ functions such as walking, talking, and swallowing become increasingly difficult as the neurons in the brain stem and the spinal cord begin to deteriorate. Through our advanced treatment programs, we have successfully helped rebuild the lives of MND patients from across the country and the world. Spinocerebellar Ataxia (SCA) is a progressive, degenerative disease that is genetically contracted. While it can manifest in different ways, there is no clear categorization of the disease. The one common symptom of SCA is the gradual deterioration of movement-related functions. At Plexus, many of our patient who have suffered from SCA have recovered successfully through stem cell therapy and rehabilitation programs. Muscular Dystrophy (MD) is a muscular genetic disorder caused by the absence of a protein called ‘dystrophin’. It is characterized by progressive weakness in the muscles (especially the proximal muscles present in the shoulder and hip regions). People with MD find day-to-day activities such as walking, climbing stairs, and lifting things particularly challenging. However, with the advent of stem cell therapy, recovery is now a distinct possibility. 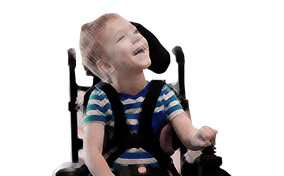 At Plexus, we provide customized treatment programs for patients suffering from any type of muscle dystrophies such as Duchenne’s, Spinal Muscular Atrophy (SMA), and limb girdle. The programs include stem cell transplants in conjunction with rehabilitation therapies for holistic treatment. 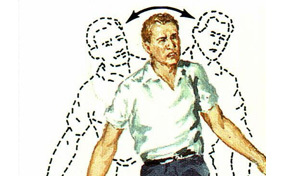 Dystonia is a muscle-control disorder that causes involuntary actions such as slow repetitive movements, abnormal postures, or muscle tremors. While the cause remains unclear, it is often attributed to the damage of the brain’s basal ganglia, neurotransmitters, or motor cortex. 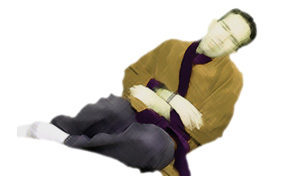 Dystonia can be grouped into three categories: idiopathic, genetic, and acquired. Over the years, we have used stem cell therapy programs to successfully treat many patients who have suffered from various forms of dystonia. Cerebral Palsy is a group of neurological movement disorders that occur when there is insufficient supply of oxygen to the brain during birth. This results in delayed development. For instance, a 5-year old child suffering from Cerebral Palsy shows symptoms like inability to control the head and neck, difficulty in walking, and underdeveloped speech. In addition, some children may even have symptoms of behavioral problems or seizures. The degree of weakness and defect may vary from person to person. At Plexus, we provide stem cell therapy along with an intensive rehabilitation program to treat these deficits. 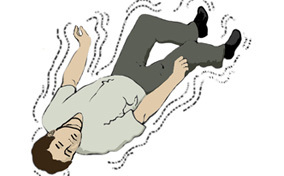 Refractory Seizure, or drug-resistant epilepsy, refers to a type of seizure that can not be cured by conventional forms of treatment. It is diagnosed as ‘drug-resistant epilepsy’ when the patient fails to respond to at least two trials of suitable, anti-epileptic drugs. But with stem cell therapy, we have been able to successfully treat multiple cases of refractory seizures. Osteoarthritis is one of the most common illnesses that is characterized by severe pain and swelling in the knees and crackling sounds during movement. This occurs primarily due to the erosion of cartilage (the cushion between the bones) and drying up of the synovial fluid (the lubricant in the joint). This can be aggravated by obesity or repeated injuries. 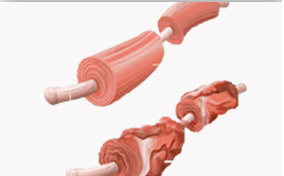 At Plexus, we treat OA non-surgically using stem cell injections and supportive physiotherapy. Conventional treatment methods include painkillers, steroid injections, and total knee replacement surgery. However, the results shown by stem cell treatment, especially in the early stages, is highly encouraging. 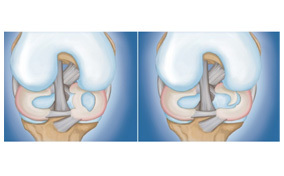 Meniscal tears are a common injury among athletes who play contact sports. These tears frequently occur when there is excessive pressure on the knees, and are often connected with tears in the Anterior Cruciate Ligament (ACL). In order to prevent further knee damage or increased degeneration, it is essential to get an accurate diagnosis and sufficient medical attention. Advances in the field of stem cell therapy have helped us find a cure for these injuries. 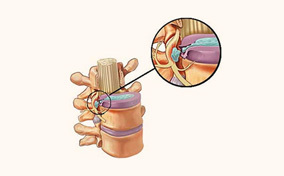 Spinal disc herniation — also known as a slipped disc — occurs when a tear in an intervertebral disc’s outer fibrous ring (annulus fibrosus) causes the soft, central portion (nucleus pulposus) to bulge out. Reasons for a slipped disc could include factors such as age, and injuries sustained from trauma/strain. 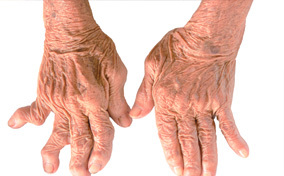 Rheumatoid Arthritis occurs when the body’s immune system mistakenly attacks the joints, creating inflammations that thicken the tissues lining the insides of joints (synovium). This in turn can damage the cartilage covering the bones, causing severe pain, swelling, and joint deformity. 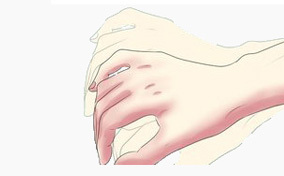 RA symmetrically affects the joints of the hands, feet, wrists, elbows, knees, and ankles. In other words, joints on both sides of the body are simultaneously affected. 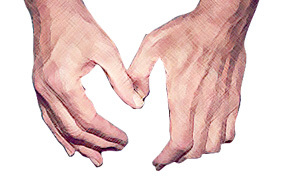 It is worth remembering that RA could also affect the cardiovascular and respiratory systems. With patients showing excellent response to stem cell therapy, we at Plexus have adopted this method to cure RA. 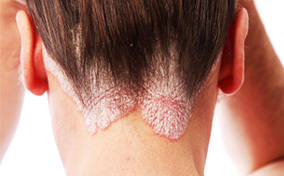 Psoriasis is a common relapsing disease that affects 2–4% of the general population. It is characterized by skin lesions, red scaly patches, papules, and plaques. The cause of psoriasis is theorized to be immune mediated (where the body's immune system attacks the central nervous system), and is aggravated by stress. This disease can increase the risk of Cancer and other cardiovascular conditions, and is closely associated with other immune-related conditions such as Crohn’s Disease and Ulcerative Colitis. At Plexus, we have achieved tremendous success treating Psoriasis using stem cell therapy. Our treatment methods also help in the complete remission of lesions, leaving the skin without any marks or traces. 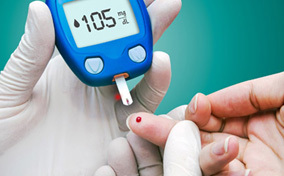 Diabetes is a common disorder that can be identified with symptoms such as increased thirst, hunger, frequency of urination, and weight loss. Other symptoms include rapid diminution of vision, symptoms suggestive of renal impairment, sexual weakness, and slower healing of wounds and injuries. Stem cell injectionsHigh sugar levels are due to problems with the pancreatic cells that produce insulin. With stem cell treatment, we introduce pancreatic stem cells into the patient’s system that produce insulin. With this treatment, the patient need not take medication or other injections. Revitalizing the pancreasThis is a 12-day treatment plan wherein the pancreatic cells will be revived and revitalized. In this procedure, we assure the control of insulin and aim to bring the sugar level below the 130 mg/dl range. At Plexus, hundreds of patients have benefited from our treatment programs, managing to achieve 99% control over sugar levels. 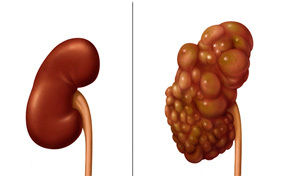 Chronic Kidney Disease is defined as the progressive loss in kidney function over a prolonged period of time. The disease affects the kidneys by damaging its ability to filter excess fluid from the blood, causing waste to build up over time. CKD symptoms are largely undefined, and the disease can often only be detected through lab tests. Although there are other treatments such as dialysis and kidney transplants, recent studies suggest that stem cell therapy can cure many patients of this disease. 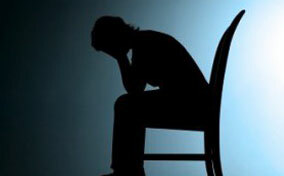 Anxiety Disorders are a group of mental disorders characterized by feelings of anxiety and fear. Based on the frequency of the episodes — continuous, episodic, or situational — these can be categorised as generalised anxiety disorder, panic attacks, or phobic disorder. These feelings may cause physical symptoms such as palpitations (increased heart rate), tremors (shivering, especially of the hands) dryness of mouth, difficulty in swallowing (lump in the throat), restlessness, and reduced sleep and appetite. At Plexus, we offer comprehensive anxiety treatment programs based on the cause of the anxiety and the patient's personal preferences. The treatment path consist of a combination of occupational therapy, meditation, yoga, and medications. ASD is a broad spectrum of disorders that includes Autistic disorder, Asperger’s Syndrome, Childhood Disintegrative Disorder, and Pervasive Developmental Disorder. The disorders usually occur in children before the age of three, and the severity of symptoms can vary from child to child. Common symptoms include difficulty in communication and social interactions, obsessive interests, and repetitive behavior. Autism Spectrum Disorders are a broad spectrum of disorders that includes Autistic disorder, Asperger’s Syndrome, Childhood Disintegrative Disorder, and Pervasive Developmental Disorder. The disorders usually occur in children before the age of three, and the severity of symptoms can vary from child to child. Common symptoms include difficulty in communication and social interactions, obsessive interests, and repetitive behavior. At Plexus, we treat ASD with stem cell transplants and a number of occupational therapy approaches comprising Sensory Integration (SI) therapy, play therapy, ADL training, and more. Attention Deficit Hyperactivity Disorder is a common occurrence in children, characterized by attention deficiency and hyperactivity. This disorder may continue through adolescence and at times, into adulthood. Children with ADHD have low self-esteem, troubled relationships with peers, and difficulty in keeping up at school or work. 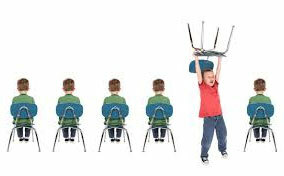 There are three types of ADHD: Predominantly Hyperactive-Impulsive Presentation, Predominantly Inattentive Presentation, and Combined Presentation. At Plexus, we offer a combination of stem cell therapy and occupational therapy programs that mainly focus in reducing hyperactivity and impulsive behavior, and improving focus on activities and following of commands. Obsessive Compulsive Disorder is a condition characterized by persistent, irrational, intrusive, and irresistible thoughts and behavior that can greatly hamper day-to-day living. Common obsessions are about cleanliness (repeated washing and bathing) and security (checking the locks and bolts of doors and counting money). The patient, while aware of the lack of logic in this line of thinking, is unable to avoid such obsessions. 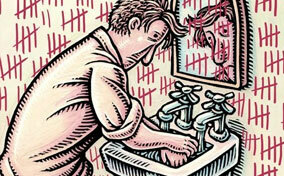 The molecular cause behind OCD has been identified, and there is effective treatment available. At Plexus, we offer a combination of medicines and occupational therapy approaches to help patients function efficiently and reduce the disruption OCD creates in everyday life. Major Depressive Disorder, commonly known as ‘depression’, is a mental disorder that is characterized by feelings of low self-esteem, loss of interest, and loss of appetite to name a few. Other symptoms of the condition include lack of sleep, suicidal thoughts, fatigue, and irritability. The cause for depression may or may not be clear. In either case, our empathy and holistic treatment methods (including counseling, occupational therapy) lay the building blocks to a brighter and happier future for each of our patients.